Online dating is rough. You swipe through endless selfies, read dozens of profiles, then go on crummy dates where you’re devastated to learn your match knows nothing about Game Of Thrones. You think, maybe we could make it work, but honestly who has the time to educate a potential partner about the intricate history of conflict across the Seven Kingdoms? No one! How many dates will it take to recap all the crucial kills, battles, and love affairs from the past seven seasons before the final six episodes? Too many. Thankfully, OkCupid has recognized the urgency of this dating crisis and found a way to make it easier for Thrones fans to hookup in time for the Season 8 premiere. 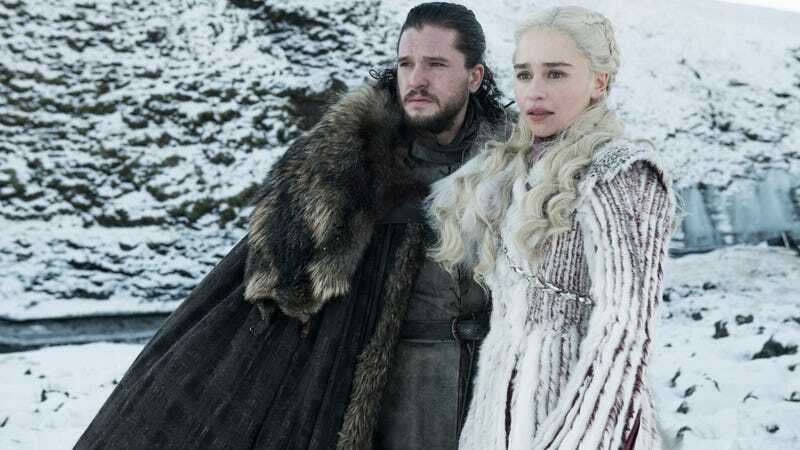 The dating app is launching a new Game Of Thrones badge that will appear on the profile of any user who publicly answered “yes” to the question of whether or not they watch the show. You know, just as important as the OkCupid badges that better help members weed out the assholes who don’t support Planned Parenthood or the ACLU from their dating pool. You may finally be able to find the Tormund to your Brienne, or if you’re just looking for a steamy hookup after a few beers, the Yara to your Ellaria. Worst case, it’s one way to meet someone with an HBOGo login before the season 8 premiere next month.